Every product produced by Briduviel's World has been processed through the heart and vision of artist Bridget Paddock. Bridget's work is designed to brighten your life and inspire you at a glance. 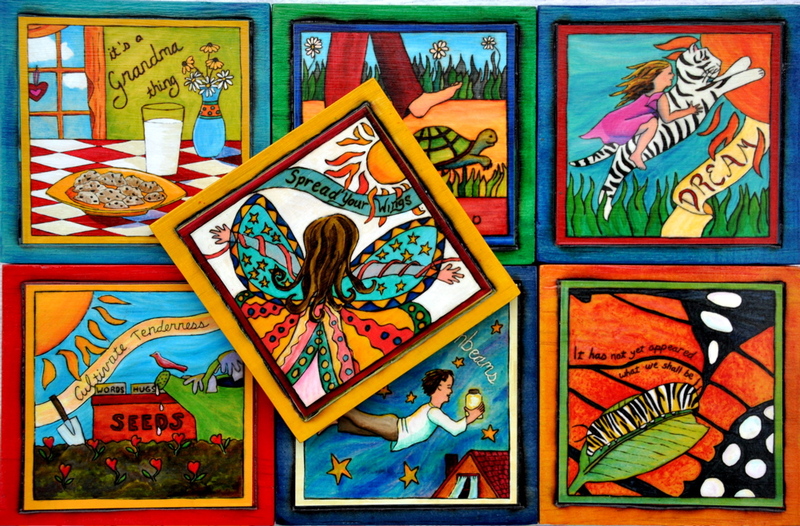 In a process that began when she received her first woodburning tool as a gift for her ninth birthday, each original is first imagined, then sketched, burned into a piece of wood, and painted. Bridget uses artist's acrylics in a style that mimics watercolor. Each original is carefully color-processed by the finest giclée printer in Buffalo, NY, to produce prints with the same depth and luminosity of the originals. 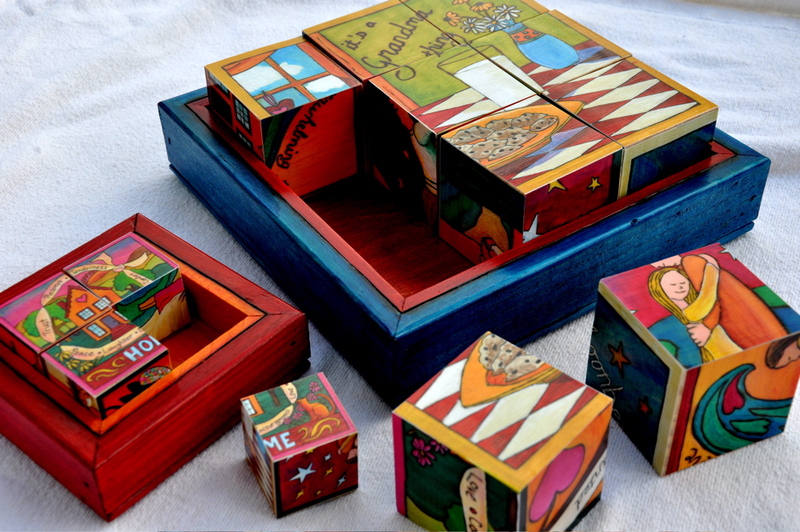 Bridget applies her fine art prints to wood products to create regular and deluxe Illustration Blocks, Mini-Art Ornaments, Interactive Art Pieces, and Magnets. In each case, the end result is a product with the look and feel of one of Bridget's original paintings. Your favorite illustrations can be ordered in any or all of your choice of seven different products in a range of prices to meet every gift-giving need.